STS – Scandinavian Transmission Service AB – in Stenungsund is currently one of Europe’s leading companies within the industrial remanufacturing of transmissions and transmission-related components. Every year, approximately 5,000 transmissions and a large number of torque converters are remanufactured for passenger cars. A few years ago, STS also started to plan an investment in remanufacturing services for the truck sector. STS recently experienced a breakthrough in this market when the company was appointed as a supplier partner by truck manufacturer Scania. The cooperation means that every year, STS will remanufacture a large number of planetary gears for Scania trucks. 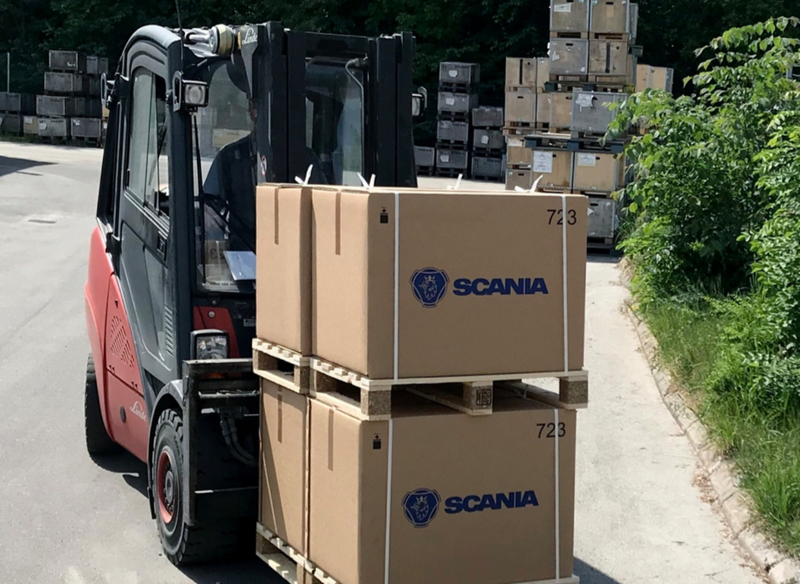 A new production and remanufacturing line was rapidly established in Stenungsund, and the first renovated planetary gears were delivered to Scania in April. With the delivery of over 82,000 trucks, 2017 was a record year for world-leading truck manufacturer Scania, a company owned by Volkswagen. “Innovation and partnership” are key words for many of Scania’s development efforts in various areas. They also apply to “Scania Service Exchange”, a concept whereby Scania sells remanufactured spare parts. Scania has worked on the service exchange since 1964. The number of spare parts included in the service keeps growing as the principle of a circular economy gains wider recognition within Scania’s global organisation. The extensive knowledge of component manufacturing held by STS’ employees is an important factor for Scania. A considerable number of planetary gears will be remanufactured by STS in Stenungsund every year, adding yet another component to Scania Service Exchange. The device, which is separate from the truck’s main transmission, governs the truck driver’s access to high and low gears. The planetary gear effectively turns a truck with six driving gears into a truck with twelve gears. 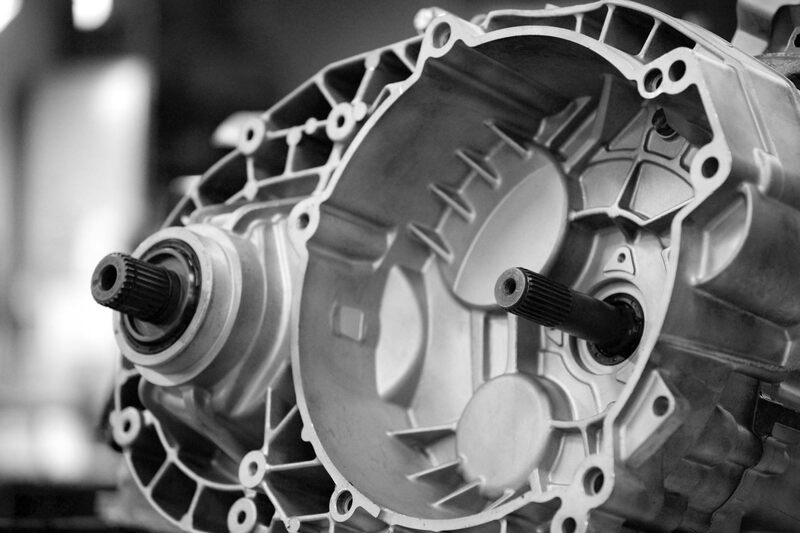 There are technical differences compared with the passenger car transmissions remanufactured by STS for many years, but they have one thing in common: the employees who carry out the remanufacturing work must be highly knowledgeable about components. including truck manufacturing and a technology centre for the development and testing of new engines. The planetary gears to be remanufactured are initially stored at Scania’s logistics centre in Belgium and then transported to STS. Linda Alexandersson at STS was the project manager during the discussions with Scania. She also had a key role in the establishment of the new production line in Stenungsund. “The fact that this was run as a global project with Scania’s project management team in Brazil was exciting and stimulating for me as a project manager. Starting up an entirely new line of business for the remanufacturing of truck components was challenging, both for me and for the others at STS who were involved in the project. The fact that Scania truly valued our extensive knowledge of components from the passenger car side was encouraging, and it felt truly wonderful when we were able to deliver the first remanufactured planetary gears as planned. For me, this means that my task as a project manager for this specific project has come to an end, and I will miss the close dialogue with the project management team in Brazil,” Linda Alexandersson concludes. Industrial circular economy thinking with the remanufacturing of vehicle components is becoming increasingly important for the world’s car manufacturers, which prioritise the circular economy with a major focus on the environment. An increasing number of components, including transmissions, are renovated or remanufactured. Due to the shortage of raw materials during the second world war, Volvo began to remanufacture transmissions already in 1945. Today, Scandinavian Transmission Service AB (“STS”) in Stenungsund, Sweden, remanufactures 3,500 transmissions for Volvo Cars every year. The cooperation with Volvo Cars began as early as 1969. A recently presented master’s thesis from Chalmers University of Technology shows that the environmental gains from remanufacturing are great compared with the use of newly manufactured parts. In their work on the master’s thesis “Remanufacturing in circular economy: A gearbox example,” Pranav Gahane and Mohamad Kaddoura carried out a life cycle assessment (“LCA”) of 30 components in a remanufactured and a newly produced transmission. The objective was to obtain a comprehensive view of the total environmental impact of the extraction of raw materials, manufacturing processes, use, transports to the remanufacturing shop and energy consumption. An analysis of life cycle costs (“LCC”) was also carried out. 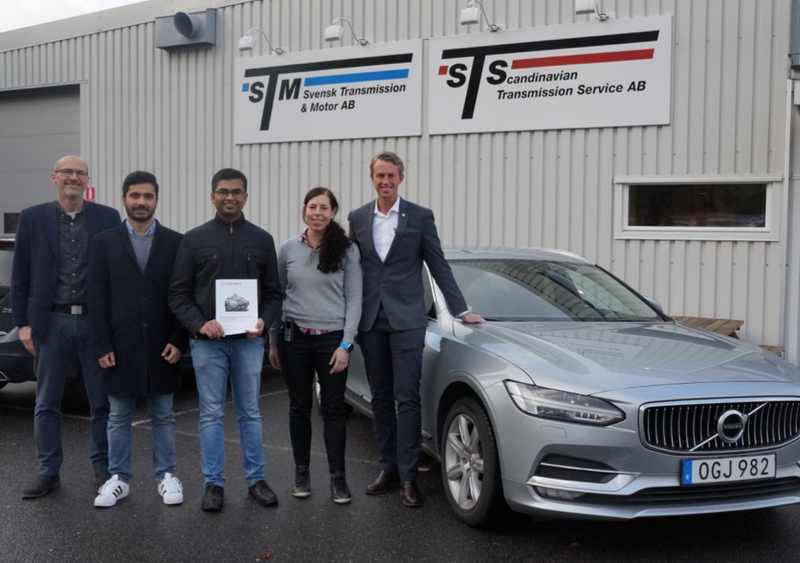 Cooperation between Volvo Cars, STS and Mistra REES made the thesis possible. Mistra REES is a research programme with Chalmers, Linköping University, two municipalities and 12 companies, including Volvo Cars, as participants. The vision for the research programme is that Swedish manufacturing industry should move towards a more circular and sustainable economy, with more resource efficient products, services and business models. The circular economy focuses on remanufacturing and reusing products to minimise environmental impact as opposed from the linear economy, where products are manufactured, used and finally discarded. Volvo Cars has used industrial circular economy thinking in its work for many years, and the company has gradually transferred an increasing number of components into an extensive remanufacturing flow. It is clear from the master’s thesis that a remanufactured transmission is a highly resource-effective product with reduced environmental impact. A remanufactured transmission leads to a significant reduction of carbon dioxide emissions (36%) compared with a newly manufactured transmission, where the production process requires the use of raw materials such as steel and aluminium. When a transmission is remanufactured, it also becomes more environmentally effective, as it is upgraded with new components, leading to less emissions from the cars. “The master’s thesis gave us several important answers. It was confirmed that our years of investments in remanufacturing has generated many positive environmental effects. It is also interesting that the analysis showed so clearly that a remanufactured and upgraded transmission becomes a more efficient product with reduced environmental impact,” says Gunnar Magnusson, Remanufacturing Manager at Volvo Cars. This makes the environment a winner when transmissions are remanufactured – just like the car owners. A transmission renovated by STS meets the same functionality and quality requirements as it did when it was newly produced. It may in fact even be better, as it is upgraded to the most recent specifications from the car manufacturers. Ola Stålebo, CEO of STS, believes that the Chalmers study will generate increased interest in the remanufacturing of transmissions. 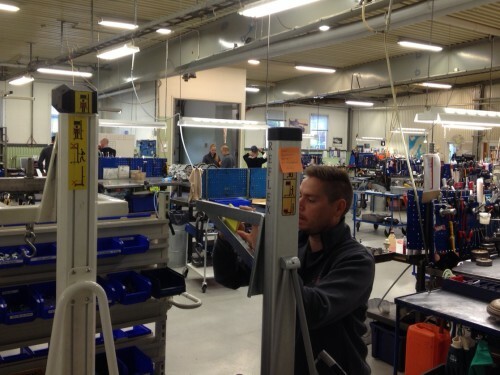 On Friday 22 May, STS shut down its entire production in Sweden for a full day, to allow the staff to focus on occupational health and safety and work environment issues. The focus day was a step in a major investment in occupational health and safety made by the company as part of its lean production efforts. “We want our employees to feel personally committed to our shared work environment and inspire them to identify areas of improvement in the immediate areas where they work. Even if those of us who are involved in the management always consider occupational health and safety and the work environment in our decision process, the individual employee has better knowledge of his or her particular workstation. Each individual is therefore best suited to identify potential risks,” says Ola Stålebo, CEO. On the day, each production team received coloured post-it notes that they were instructed to affix every time a potential risk was identified in their work area. The notes were then collected and compiled into a list by each team. Issues identified included high thresholds, sharp edges, broken shelves in the stock room and heavy items at a risk of falling over. “I must confess that I felt rather nervous at first when I saw all the post-it notes that had been put up in our workshop, but after reviewing the list, I felt that the effort had really resulted in something useful and that we had met the day’s objective. More or less all of the risks identified were actually relevant, and in most cases, they were relatively easy to remedy,” Ola Stålebo continued. What remains now is dealing with the more complex issues that emerged during the focus day. “STS’ lean efforts are based on finding good long-term solutions. As long as there is no immediate risk of injury, solutions to complex work environment issues must be allowed some time to mature. While we have been spared from serious incidents in the past, we feel that we have now created the awareness needed to continue the work on health and safety as a natural part of our improvement efforts. We have an absolute zero vision for accidents in the workplace,” Ola Stålebo concludes. Scandinavian Transmission Service is active within the industrial remanufacturing of transmissions and transmission-related components in Stenungsund, just north of Gothenburg, Sweden. STS Logistics Centre opens its doors just in time for the company’s 45th anniversary. The 10 000 m2 piece of land was purchased in 2013, and the construction of the first warehouse is now complete. “We are very pleased that we will finally be able to offer our customers core handling services and more efficient warehousing of finished products. In particular, logistic services relating to core handling services have long been requested by our customers, and we used to have limited capacity in this area,” says Ola Stålebo, CEO. The first step consists of a modern warehouse in a clean line design, constructed with a focus on low energy consumption and minimal environmental impact. 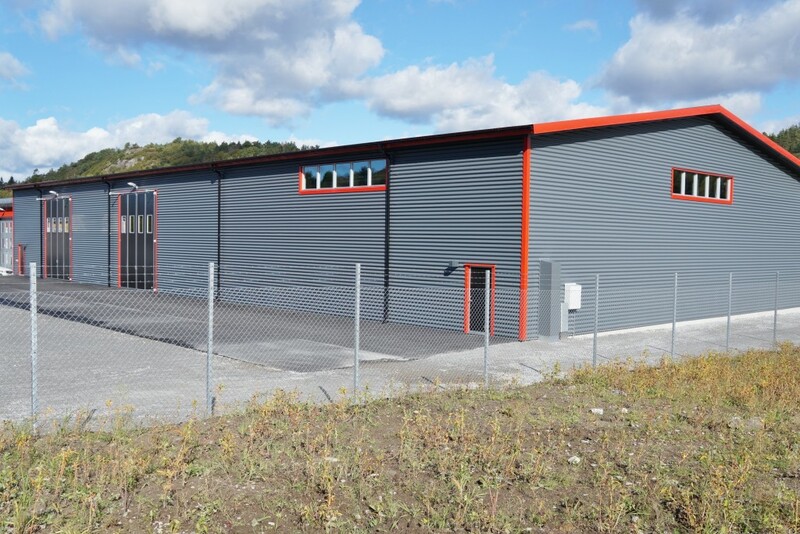 The facility is located a stone’s throw from road E6, just a few minutes away from STS’ production plant in Stenungsund. “According to our estimates, approximately 80% of our capacity will already be used within the next 6 months, so this investment is clearly eagerly awaited. This autumn, we will terminate the lease for our rented external warehousing premises. Our projected growth is strong in the next five years, and many interesting projects are under way, including an investment in manual transmissions division. Thanks to our strong confidence in the market, our plans for the second phase have already progressed far,” Ola Stålebo concludes.